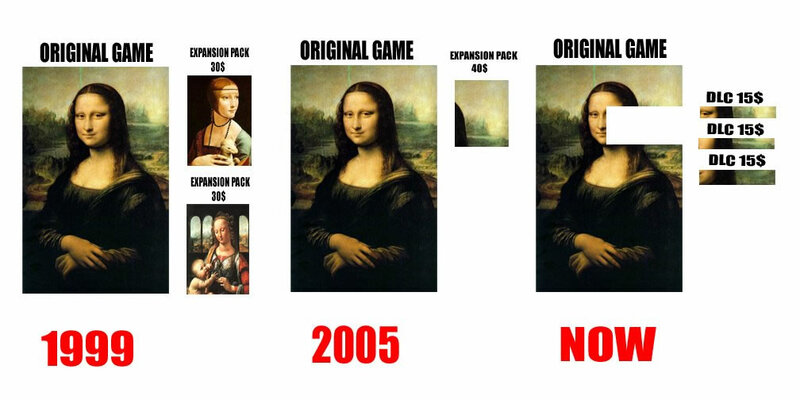 You've probably seen that famous Mona Lisa Photoshop that shows how downloadable content has evolved in games over the years. The image has gotten yet another update to show our grim DLC future. While not brand new, the image continues to float around internet bulletin boards like 4chan and 2ch. In case you missed it, here's a previous update the image got.